abstract: Flash based non volatile memory is revolutionizing data center architectures, improving application performance by bridging the gap between DRAM and disk. Future non volatile memories promise performance even closer to DRAM. While flash adoption in industry started as disk replacement, the past several years have seen data center architectures change to take advantage of flash as a new memory tier in both servers and storage. speaker bio: Nisha Talagala (ntalagala@fusionio.com) is Lead Architect at Fusion-io, where she works on innovation in non volatile memory technologies and applications. Nisha has more than 10 years of expertise in software development, distributed systems, storage and I/O solutions, and non-volatile memory. She has worked as technology lead for server flash at Intel - where she led server platform non volatile memory technology development, storage-memory convergence, and partnerships. Prior to Intel, Nisha was the CTO of Gear6, where she designed and built clustered computing caches for high performance I/O environments. Nisha also served at Sun Microsystems, where she developed storage and I/O solutions and worked on file systems. 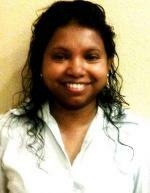 Nisha earned her PhD at UC Berkeley where she did research on clusters and distributed storage. Nisha holds more than 30 patents in distributed systems, networking, storage, performance and non-volatile memory.